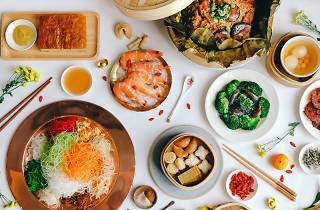 Toss to the New Year with the Prosperity yu sheng platter at Sky22’s CNY buffet ($38 for lunch, $48 for dinner). Be spoilt with an abundance of CNY offerings such as glutinous rice wrapped in lotus leaf and roasted duck glazed with hoisin sauce. Pile your plate with classic CNY sweet treats such as pineapple tarts, bak kwa, and deep-fried nian gao. 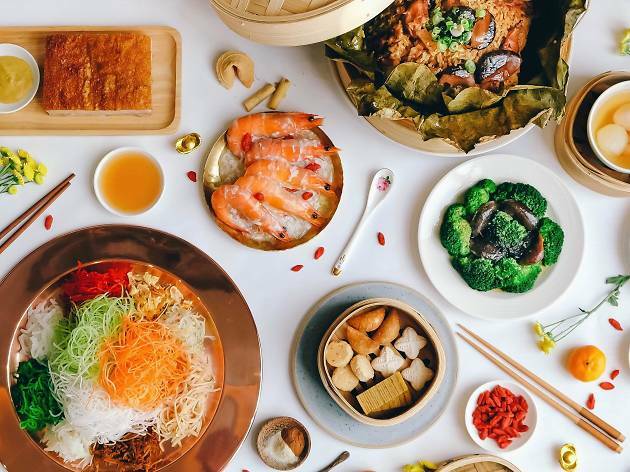 Make a beeline for the lo hei bar where you can customise your own yu sheng with a selection of ingredients like crispy fish skin, marinated jellyfish and pomelo.